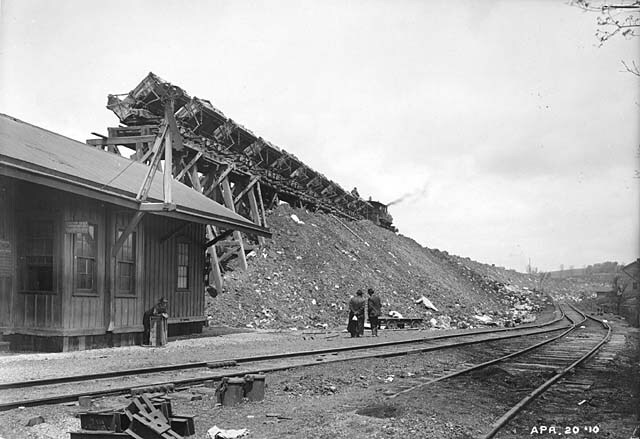 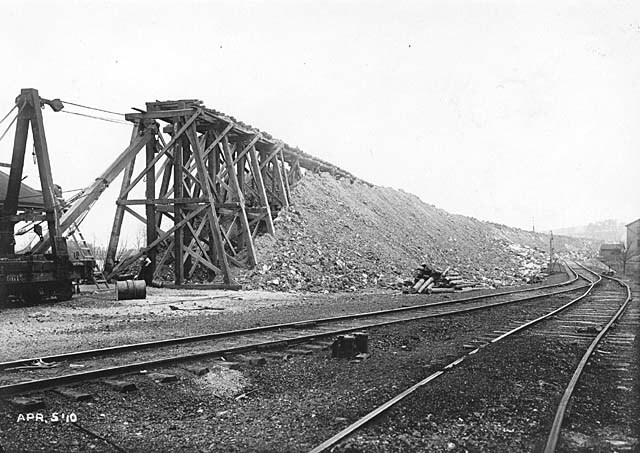 With increasing and heavier railroad traffic, it became evident that the bridge would need to be reinforced or rebuilt. 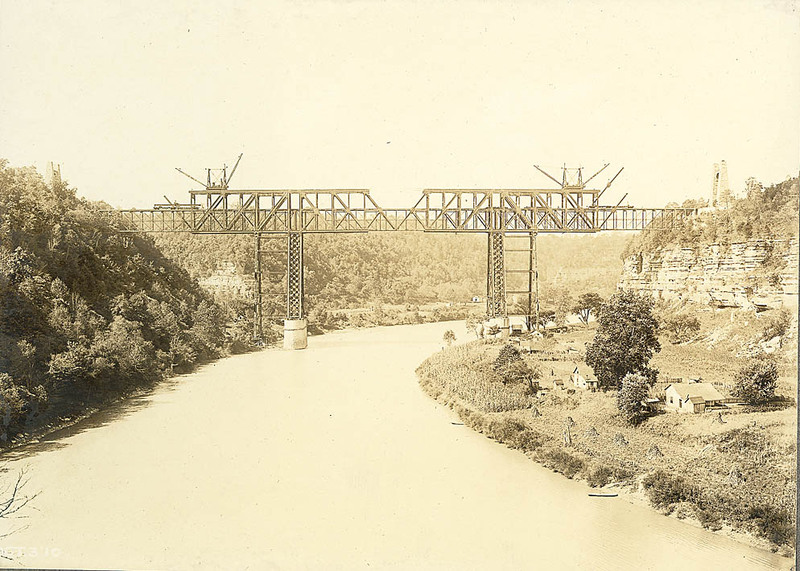 During 1910 and 1911, the bridge was rebuilt using a design by Gustav Lindenthal. 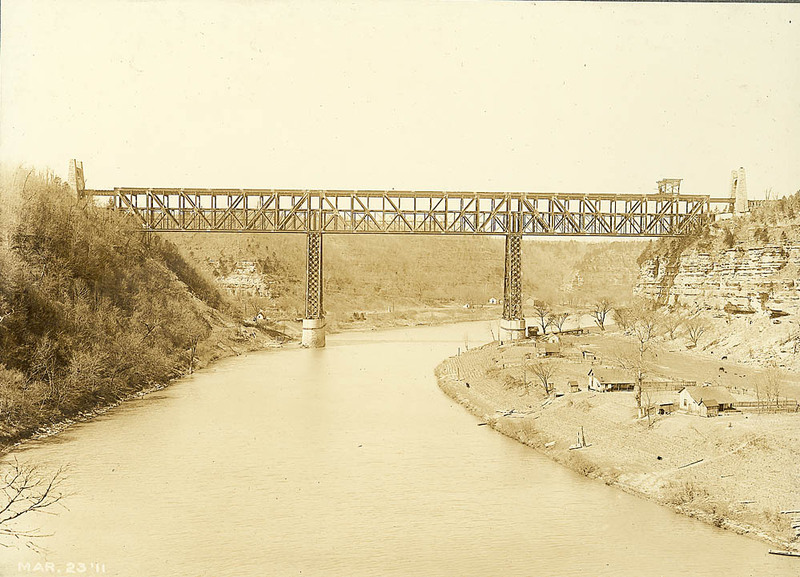 The rebuilt bridge used the same footings as the original bridge and was built around the original. 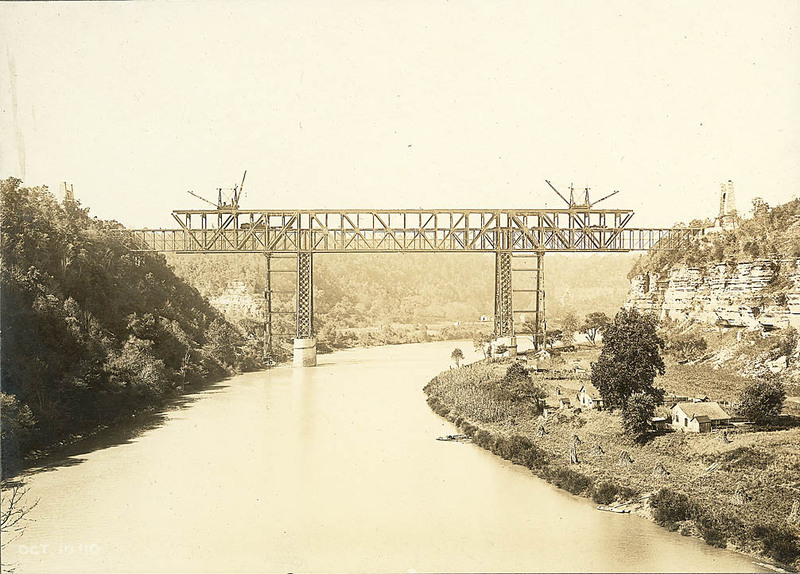 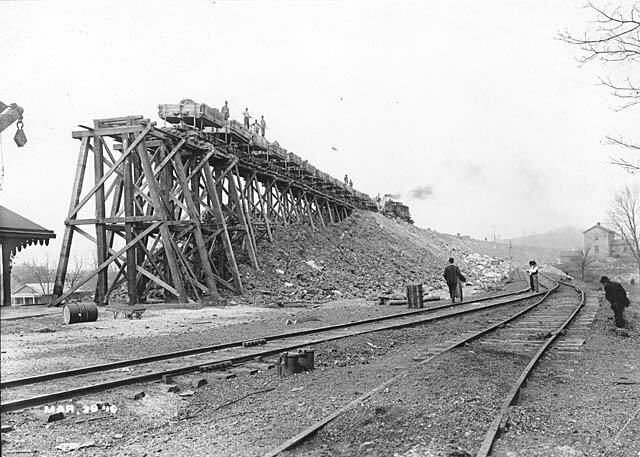 By raising the track deck of the new bridge almost 30 feet above the existing deck, railroad traffic was able to continue uninterrupted during the rebuilding. 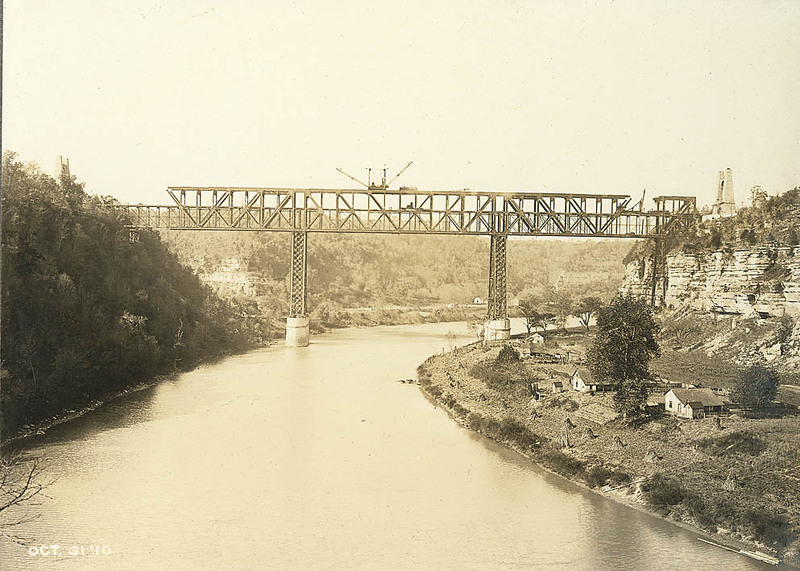 The higher deck of the new bridge required a new elevated approach. 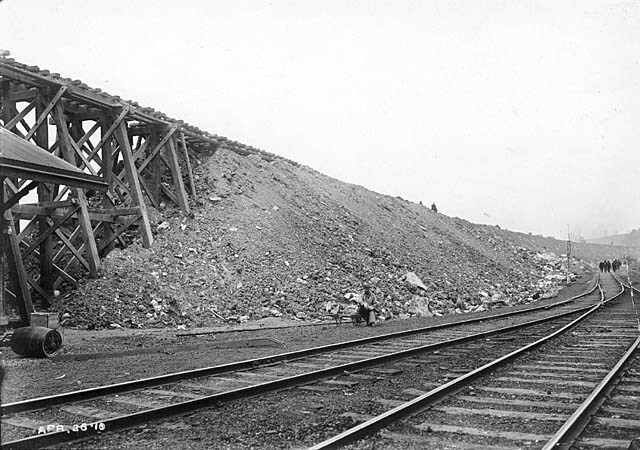 A temporary trestle was built and then filled to the required height. 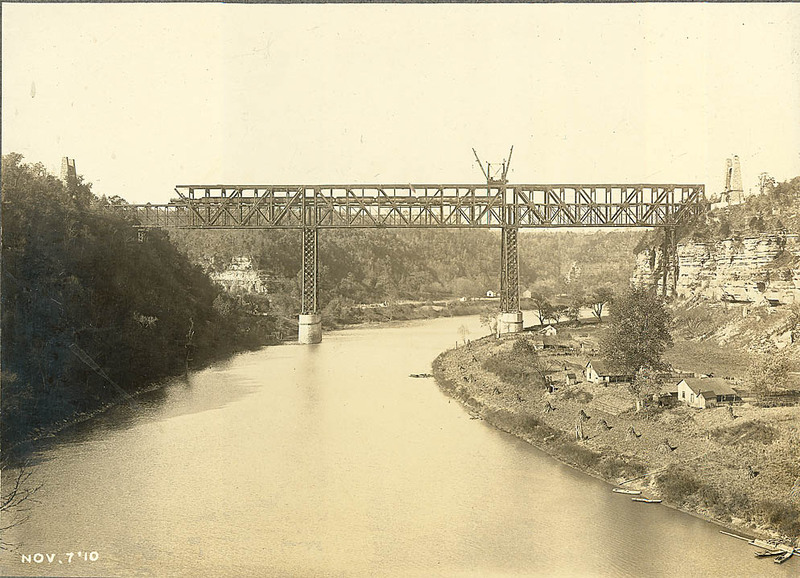 The following photographs were taken by Louis Edward Nollau during the rebuilding of the bridge in 1910-1911. 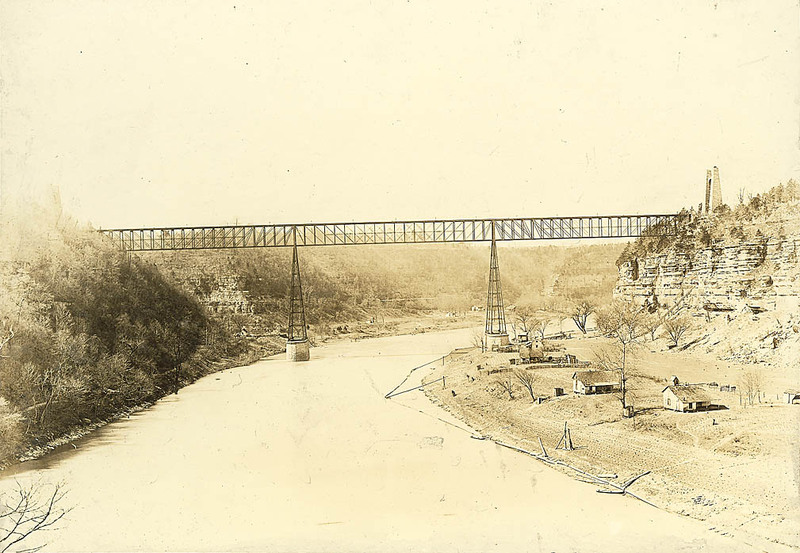 They are taken from the Nollau High Bridge Photographic Collection and the Nollau F Series Photographic Print Collection provided by the University of Kentucky Libraries, Special Collections and Archives. 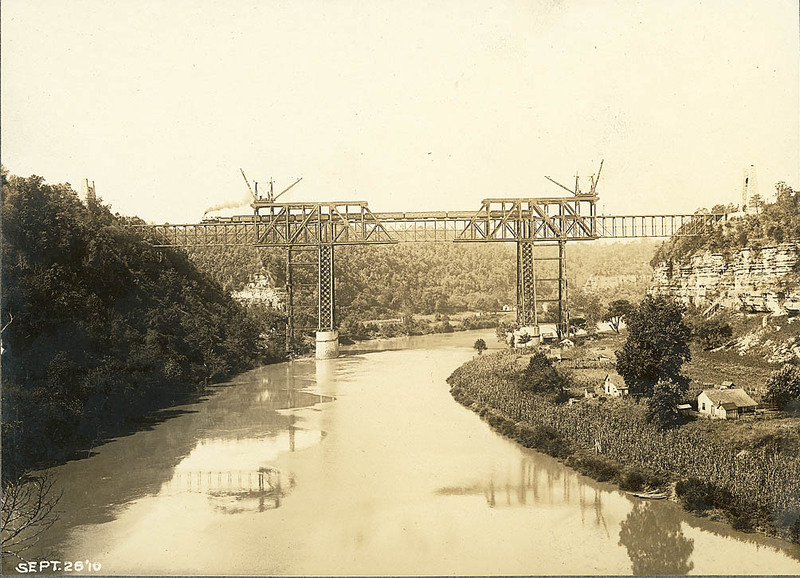 Many additional photographs of the bridge rebuilding are available.